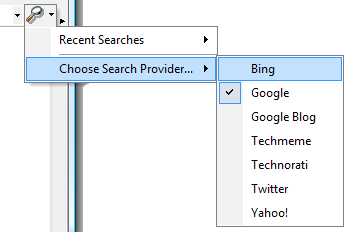 FeedDemon has built-in support for over two dozen URL shortening services, but new ones seem to appear all the time. Today, for example, Google announced their goo.gl shortener, and Facebook recently rolled out their FB.me shortener. Both of these services will be supported in the next FeedDemon 3.x release (coming soon), but if you don't want to wait, it's easy to add support for them right now. Just look for the file ShortUrl.xml in FeedDemon's \Data subfolder, then open it in your favorite XML editor (I use TopStyle 4). After you save the changes, the next time you run FeedDemon it will automatically expand short URLs from both fb.me and goo.gl. You can add other URL shorteners the same way, provided that they return the long URL in the location header after doing a HEAD request. Almost all shorteners do this (including youtu.be), but some redirect to an HTML page before redirecting to the actual long URL, and some use their own HTML page containing an IFRAME which hosts the long URL. These services can't be supported. FeedDemon 3.0.0.27 is now available from the FeedDemon Beta Site, and you'll definitely want to upgrade to it if you're running an earlier pre-release. For one thing, it offers completely redesigned synching with Google Reader which corrects many of the issues customers have been reporting in our support forums. There are a number of other additions and improvements, too, including a new "quick tag" feature and support for WP.me in the short URL preview. 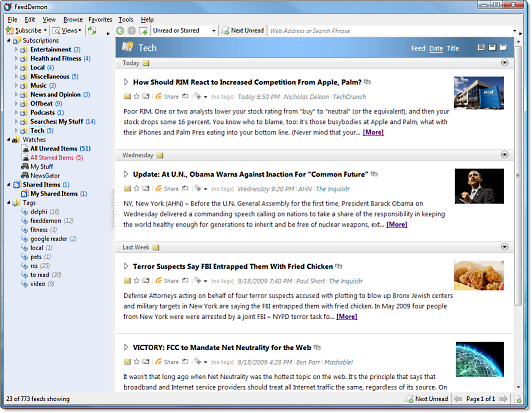 As mentioned in my previous post, NewsGator is shutting down their synchronization platform at the end of the month, so at startup FeedDemon now offers to convert you from NewsGator sync to Google Reader sync. The conversion process may take a few minutes while it adds your subscriptions to Google Reader and syncs your pre-existing flags, but once it's done FeedDemon will be synched with Google Reader. As always, if you run into any problems with this build, please let me know by posting in the FeedDemon 3.0 Beta Forum, and be sure to include the build number (3.0.0.27) in your subject line. BTW, there's also a new FeedDemon 3.0 Frequently Asked Questions page – it's pretty bare-bones at the moment, but I'll update it over time as I get more feedback about the new version. Today NewsGator announced that their consumer synchronization platform will no longer be available as of August 31, 2009. Rather than re-hash the announcement here, I invite you to read it on NewsGator's official company blog. There's also an FAQ which addresses most of the questions about this announcement. So how will this impact you if you're a FeedDemon customer who relies on NewsGator sync? Honestly, this shouldn't have much impact on you. 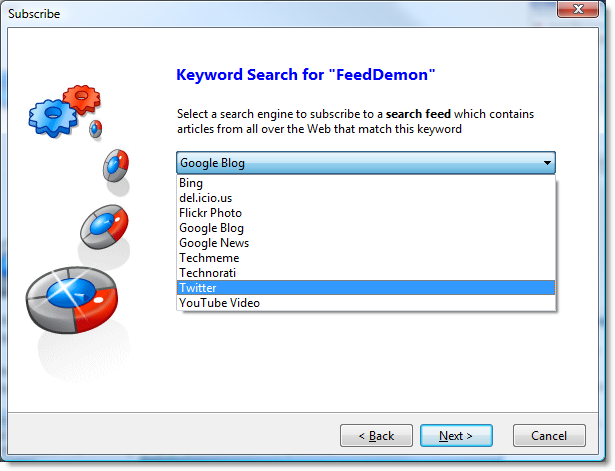 FeedDemon 3.0 still offers syncrhonization - – but instead of synching with NewsGator, it syncs with Google Reader. 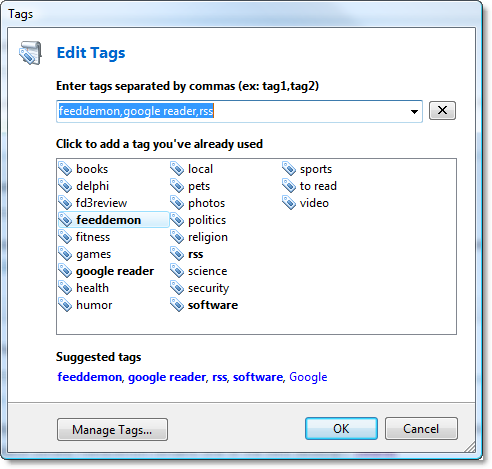 The first time you run FeedDemon 3.0, you'll be asked whether to convert your NewsGator subscriptions to Google Reader subscriptions. 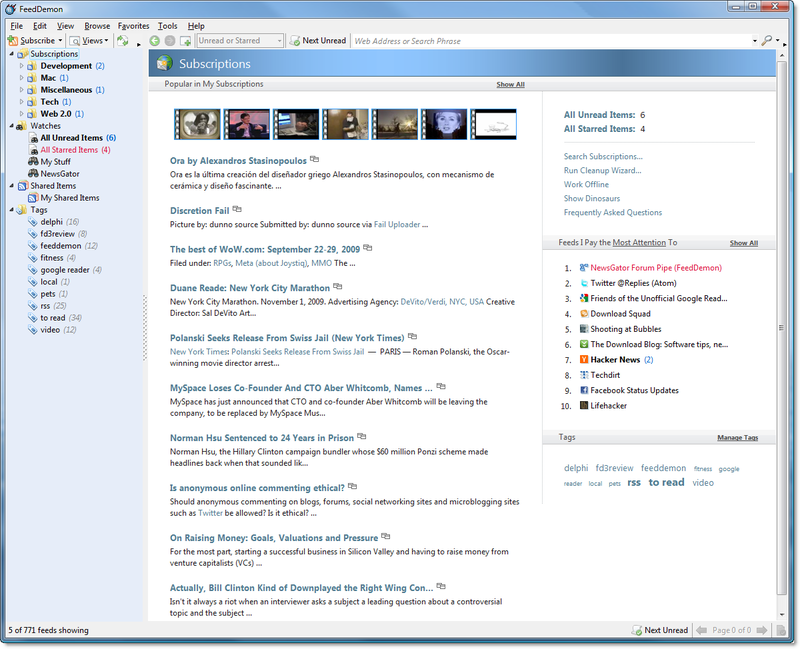 Once the conversion completes, FeedDemon will sync with Google Reader instead of NewsGator. 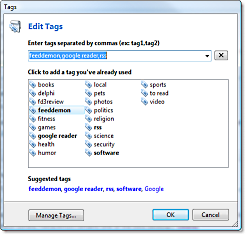 If you're among the few customers who created synched clippings in FeedDemon, your clippings will no longer be synched after the conversion, and the RSS feed for your synched clippings will no longer update. However, prior to the end of NewsGator sync, we'll provide a way to redirect your synched clippings feed so that anyone subscribed to it will be unaffected by the change. 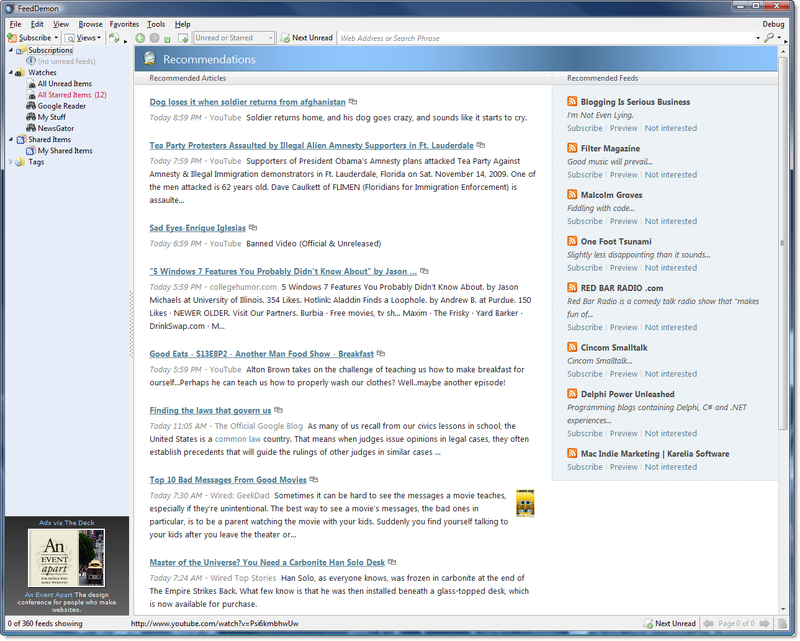 Most of you will want to redirect to your Google Reader shared items feed (here's mine) since FeedDemon 3.0 includes the ability to copy articles to your Google Reader shared items. What does this mean for the future of FeedDemon? For the record I want to make it clear that FeedDemon's lifespan won't be cut short by this change. FeedDemon (and NetNewsWire, for that matter) continues to have a very bright future. I'm excited about being able to take full advantage of the power of Google Reader sync. The Google Reader team has been making some interesting moves lately which enable me to take FeedDemon where I've long wanted it to go. 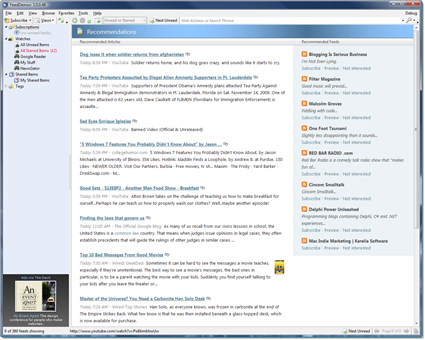 If you're a FeedDemon customer, I think you're going to love where FeedDemon will take you now that it's tied to Google Reader instead of NewsGator.